On Thursday Harry and I appeared in the Daily Mail. It was an article talking about putting on weight when breastfeeding. Having read through the comments I think it's clear people didn't read the article very well, at least my part, which is frustrating but seeing as many of the commenters can't spell at all I won't worry too much. I hope that people can see that it wasn't the actual breastfeeding that made me fat, it was the effects of it, in that it made me more hungry, which is totally to be expected. I certainly know how to tell the difference between being thirsty and being hungry too. Pfft. If you haven't seen it you should watch Episode 2 of Inside No 9. It is hilarious and really cleverly put together. It was a real classic comedy with very little speech which was different and quite refreshing. I finally got Spotify on my phone and have been listening to Sam Smith songs this week. I love his voice so much and think he sings with such passion. I am pretty much obsessed with sweet potato chips at the moment. I've had them almost everyday this week along with black grapes. Shorts. Actual shorts. With my legs out. 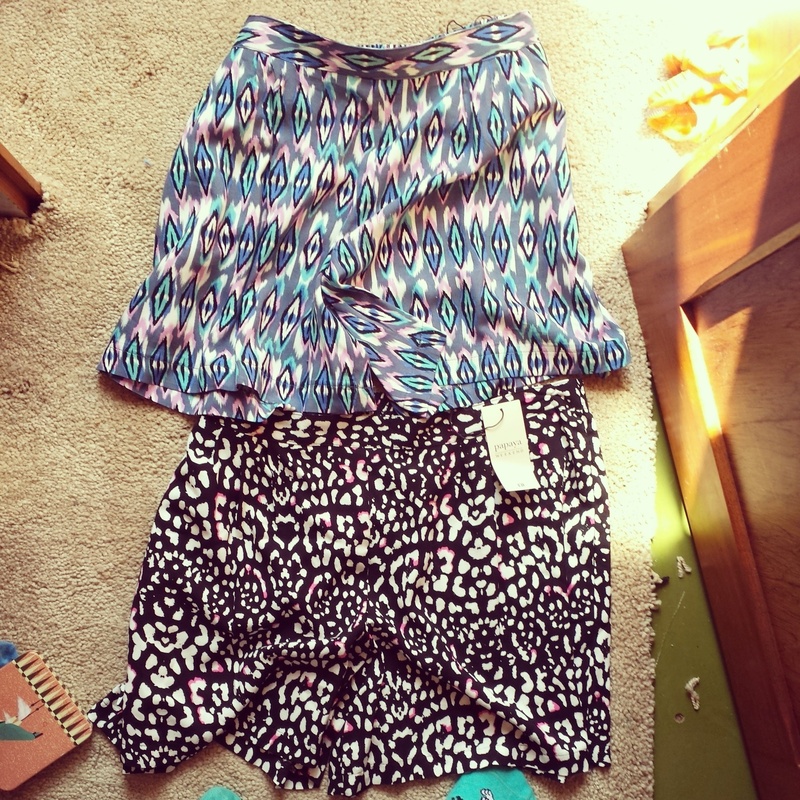 Shorts in a size 14, not a 16 or and 18 like I would usually wear. A woohoooo!! I wore the top pair on the boat last week. They are in a 14 and the bottom pair are in a 16, only because the 14 had sold out and I couldn't go home without them. At £8 a pair I think they are a real bargain and want to get some more asap. I've noticed recently just how fantastic the new blogs are that are around at the moment. I think last year and the year before there was an odd atmosphere, and a surge of blaggers but at the moment I really feel this sense of passion from the community, mostly down to these new blogs who are all so ahead of the game. I'm really fussy when it comes to reading new blogs, I'm picky and need to be wowed pretty much straight away and this has happened quite a lot. I was thinking ahead to Britmums and to the people I would most like to meet and the majority of them are new bloggers and not people I have stalked for years as per last year. 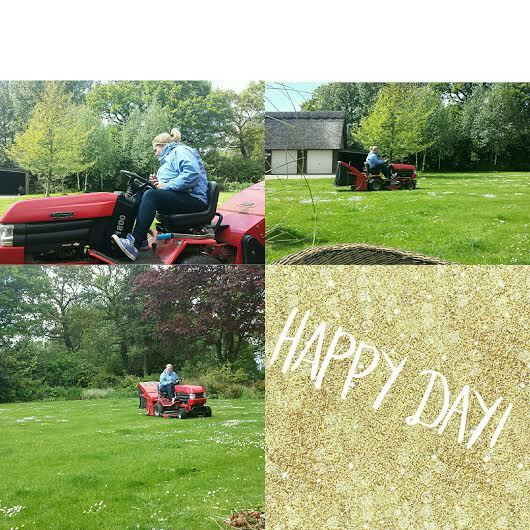 This Bank Holiday weekend we took full advantage of the wonderful weather and the fact that my husband had 2 days off rather than his usual 1, and headed to the boat to stay over for the night. 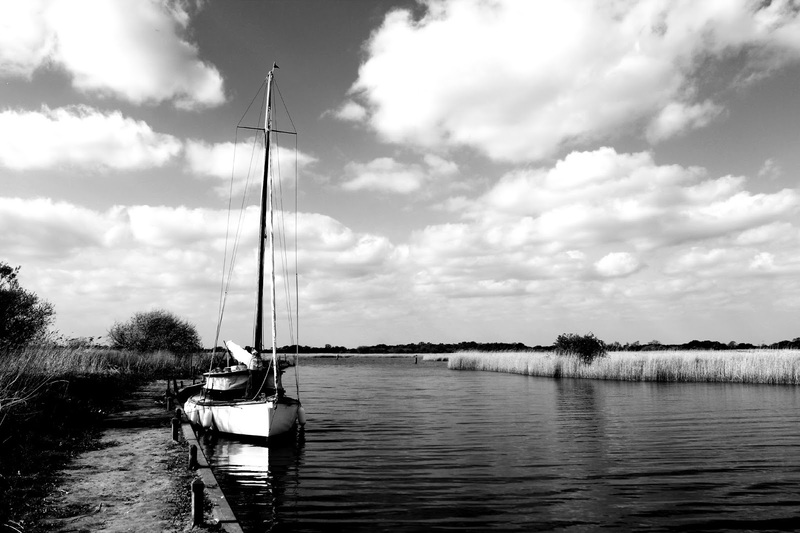 We got there later than originally planned so once we had got ourselves sorted, got the boat ready we simply motored up to one of our favourite pubs to moor up for the night. It just so happens that we got there at just the right time. As we moored up, and turned the engine off, other boats seemed to have the same idea, but we had taken up one of the last two spaces, the other was quickly snapped up by another family. There was a lovely bit of drama and entertainment when 3 boats managed to get stuck in the mud. One was clearly an accident, and was a tiny bit worrying for a while, and the other two were basically full of young people who didn't want to follow advice when told that the area was too shallow for them that day. 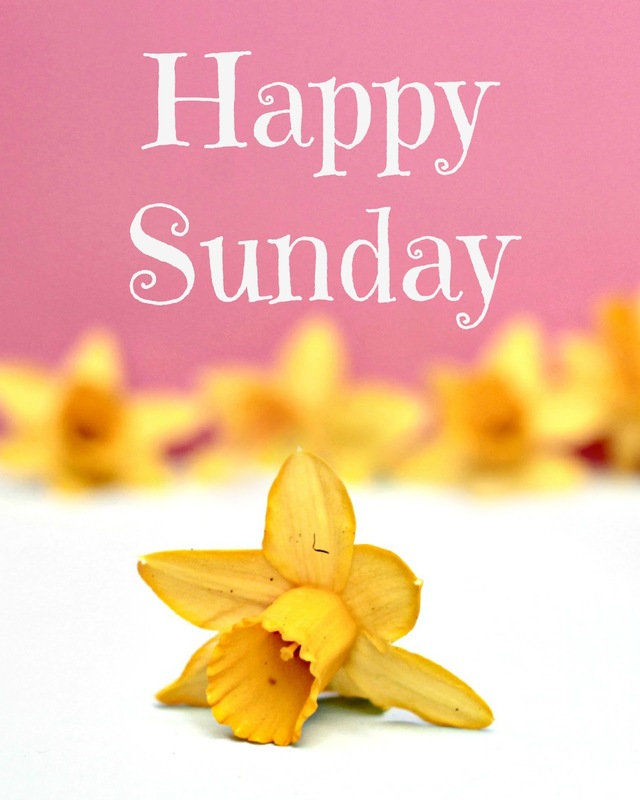 We had such a fabulous weekend, and on Sunday night and Monday night I couldn't help but to reflect on the good things that had happened, and realised that we had turned a few corners and that areas that have been somewhat challenging or tricky were getting much better. Firstly, and yes I know, going on about it again. Bore off Lauren. But, my weight. 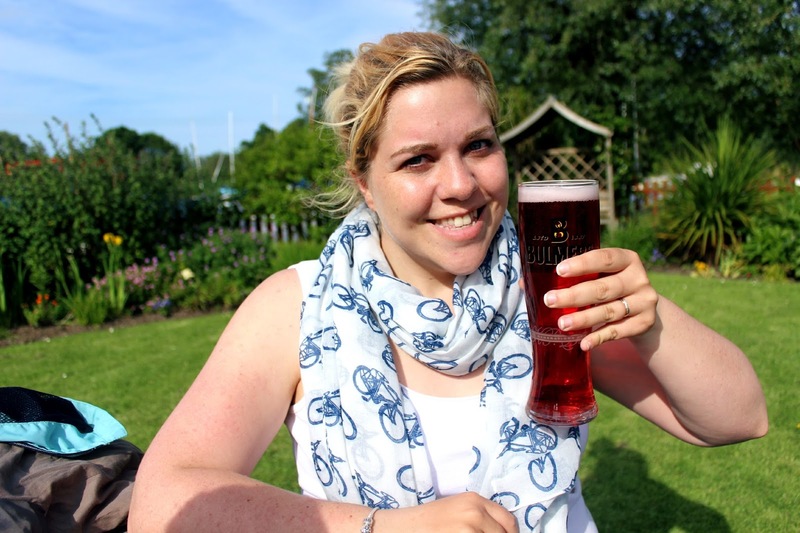 We sat in the pub garden and my husband took a photo of me. I always inspect the photos, usually clicking delete pretty much straight away. But this time I burst into tears. I actually liked the photo. Not only did I like the photo, but I also noticed the change in me since I lost the weight. I felt quite overwhelmed, which may sound silly, but it was nice to feel good about myself and to feel proud of myself. 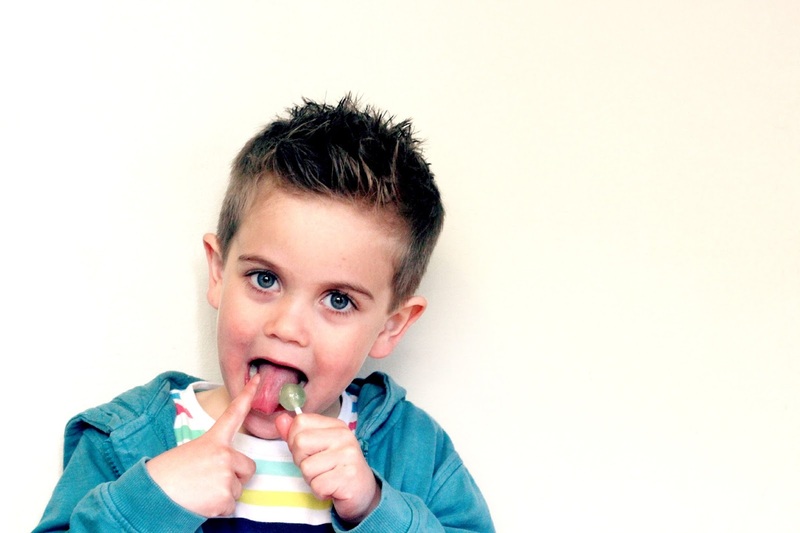 Harry has hit the terrible twos, and a really quite challenging point in his life recently. He is hard work, we have good times and bad times. The bad times, although may only last a short amount of time, can be tiring and emotionally draining. He's just doing what some other 2 year olds do but still, it doesn't mean he should do it. Our past trips on the boat have been a fail for a few reasons. Our first ever night over Harry was sick, which couldn't be helped. But at other times he has simply decided to just play up really. He wasn't interested in sitting outside, or putting on his lifejacket. 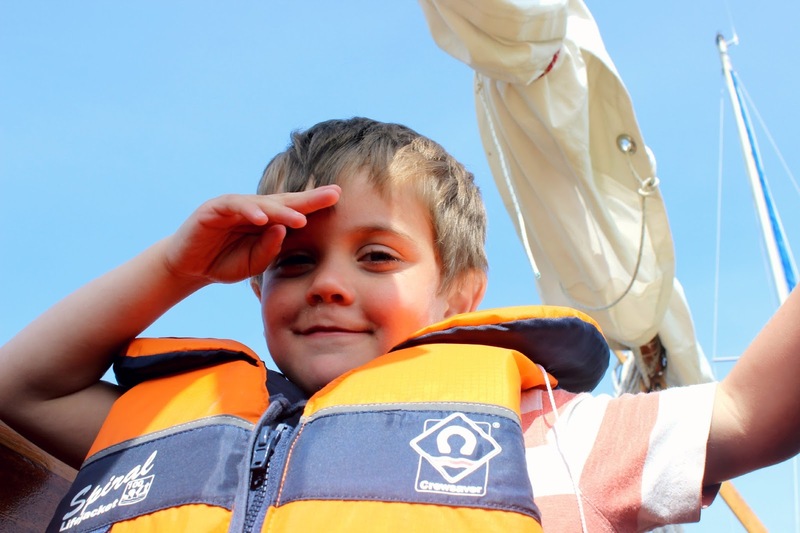 Yet on Sunday, as I was ready to settle him into the cabin, he asked for his lifejacket to be put on. And he actually sat outside with us. I couldn't believe it. And on the Monday he came outside with me, laid on the seat with his head on my lap and went to sleep....for 2 hours. He missed our adventure and explore of a new part of the river, and missed seeing fish in the clear parts, but it was lovely to have him so close. The whole weekend he was a star and I really enjoyed being with him. I just hope that behaviour remains every visit we have to the boat. I'm really trying to work on Charles' confidence at the moment. He gets quite shy and wants me to speak for him so I'm setting him challenges to wave to people on boats, talk to people, order his own food, pay for things in shops and so on. He is doing really well and I can tell he gets a buzz out of "being brave" especially when he gets a response from those he is talking to or those who's attention he wants. 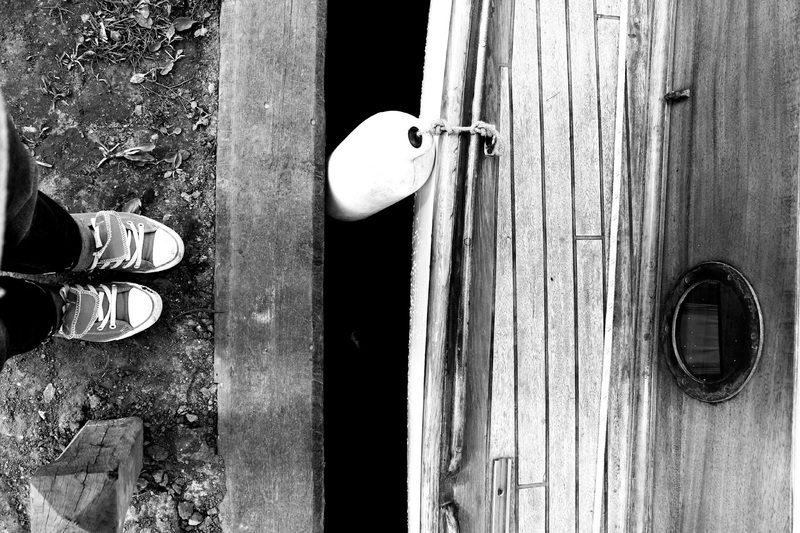 My husband had to go to the bow of the boat at one point as I went inside the cabin with the boys. He kept shouting to ask if we were ok and I couldn't understand why. Until I realised that it was because we were so quiet. Usually the boys are having issues with each other, issues with me, wanting a drink/food/wee/poo/something they shouldn't have, which usually results in me getting stressed and snapping at them. But we were all quiet. Ok, Harry was asleep but it gave me the chance to relax and gave Charles the chance to play on his Leappad without his brother prodding the screen all the time. 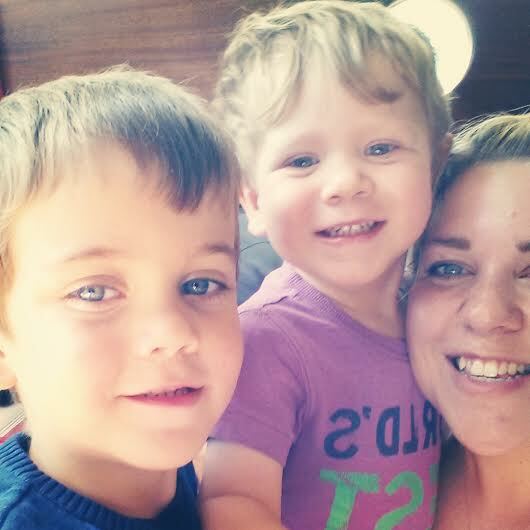 As we got on the boat on the Sunday and waited for my husband to do his jobs I couldn't resist a selfie with them. They both wanted to press the button and change the colours on Instagram. I love it, a lot. Another corner I have personally turned is that of feeling happy. Truly happy. Yes I still get my down days, and my really awful days, but being able to recognise what that happy emotion is, although can be quite overwhelming, is just magical sometimes. It's a feeling I forgot about, and almost forced sometimes but to now feel genuinely happy in a few areas of my life is perfect, and proves I'm definitely turning corners. On Wednesday we arranged to meet 2 friends I have made on the school run and the daughter of one of them at the beach. I was running late thanks to Harry deciding to get changed SIX times. Fun times. Instead of meeting them at the car park I met them at a local pub/coffee place and we sat outside and had a drink before heading down the beach and the promenade. I was good and went for a black coffee instead of the creamy/milky delights on offer too. 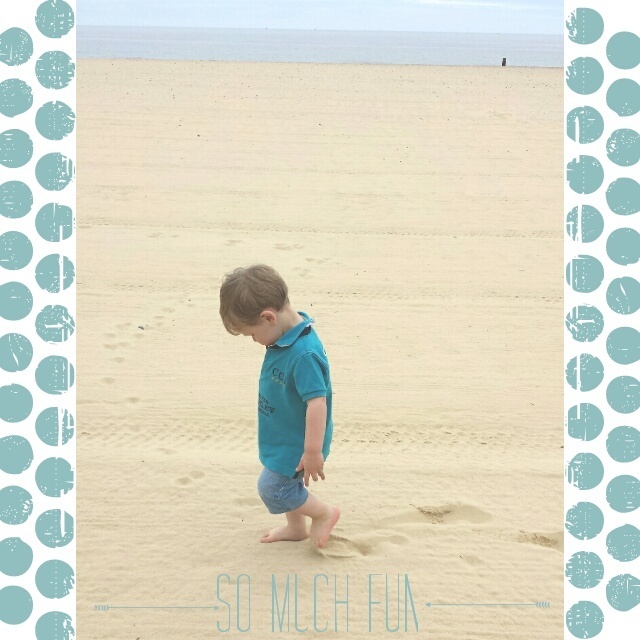 The children held us back from our power walk but it was lovely watching them play on the sand, and seeing Harry chase his friend trying to hold her hand. We got to the pier and my friend treated her daughter and Harry to an ice cream, we were very good and didn't have one ourselves! We were out for 2 and a half hours which was really lovely. I enjoyed it so much and definitely don't visit the beach as much as I should. So along with the beach walk I have also made a real effort with walking to collect Charles from school. Harry can get himself out of his pushchair which causes no end of hassle and issues so I decided to put him in our 4 and a half year old Smart Trike, which has seen better days but did the job. He really enjoys sitting in there and due to the dodgy steering it gives me an extra work out as I try to keep it going straight. There is an ice cream van outside the school most days and the boys will more often than not beg for an ice cream, disgusted that I don't take money for them to buy one. So this week, on Tuesday, we walked to school to meet Charles and I let them buy an ice cream. It was lovely for them to be so happy about this special treat, and I loved watching them just walking along loving life. Next time though I should take wipes or tissues. 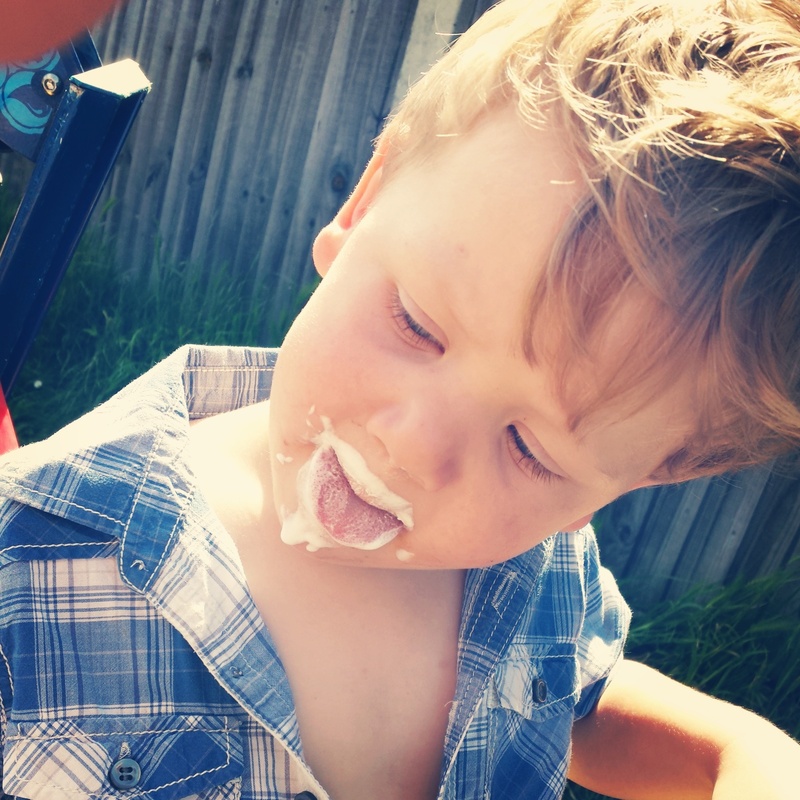 Harry + ice cream = a big mess. I love going to Pinterest if I need a bit of a boost, or a hand to hold. This week I discovered these two quotes. I made my own graphics because, well, I enjoy doing it and it makes me happy. Oooo two lots of happiness in one go. BAM! Almost 2 weeks ago Charles handed out his party invitations at school. I then watched my phone like a hawk. Waiting for the RSVP's to come flooding in. There was an instant panic of maybe another party happening on that date that we didn't know about, maybe these people are waiting for a better offer, or maybe the children just don't want to celebrate Charles' birthday with him. We now have 20 children on the list to come, and so far no one has said no. It makes me really happy, and a bit giggly, when someone says their child will come. 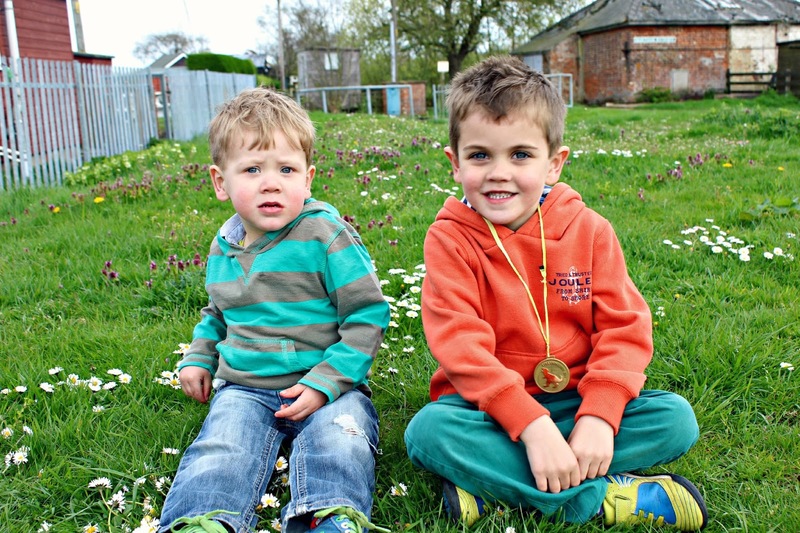 It's wonderful to know that these children will be looking forward to celebrating both of the boys birthdays, excited to see them and talking about their party in the lead up. Charles also lets out a big "YES!" when I add someone elses name to the list. Seeing him so happy and excited is wonderful. Last year I made a big decision. I made the decision to cut my dad out of my life. It was something I considered doing so many times but something always managed to draw me back. People would tell me that I needed my dad, or that the boys needed their grandad, and for a while I kind of believed it. I kept thinking that although none of us deserved to be treated like an inconvenience that maybe one day he would change and we would get to see him for more than half an hour and actually have him listen to what we had to say rather than listening to him talk about how wonderful other people in his life were/are. A daughter shouldn't have to beg to see her dad, especially when she had two amazing grandchildren for him to treasure and who he should be eager to see and want to spend time with. For 13 and a half years I have been drained by my dads behaviour, by the fact that I constantly have to work so so hard to keep him in my life. And last year I had to let go. 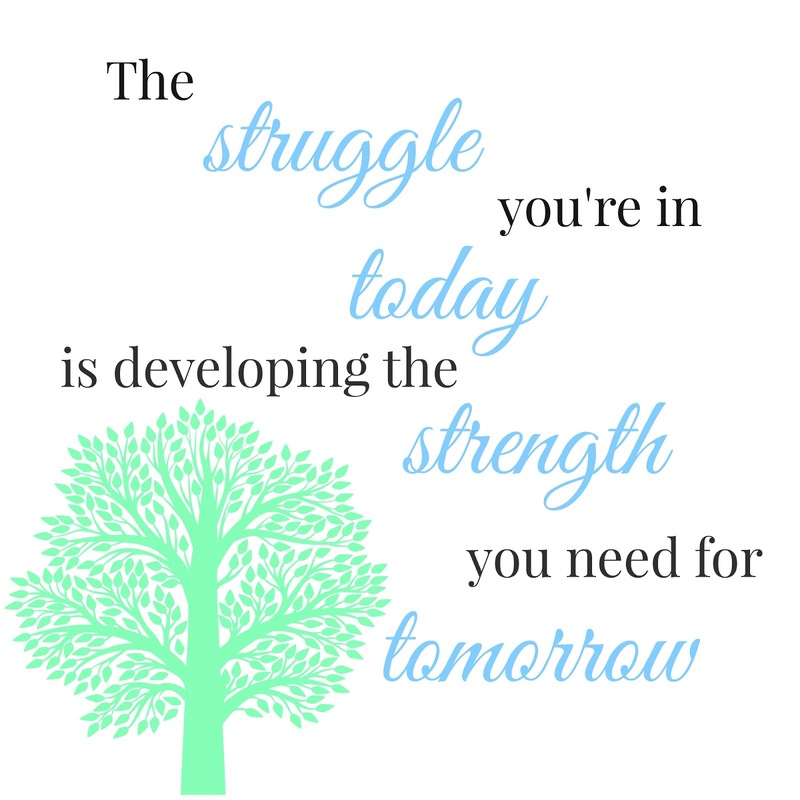 For the sake of my mental health, for the sake of my energy, for my mum who has to hear constantly about the latest thing that had happened, for my husband, and especially for my boys. They don't deserve a part time grandad. Hardly even part time. They don't deserve to be bottom of a priority list, they should really be close to the top for. For 13 and a half years I have battled depression and seen various psychologists, counsellors and therapists due to things my dad has done, hasn't done, the way he has behaved and the things he has, and hasn't, said. I constantly try to make people happy. To keep them in my life, even if it means selling out on what I believe or forgetting my own feelings. And enough was enough. 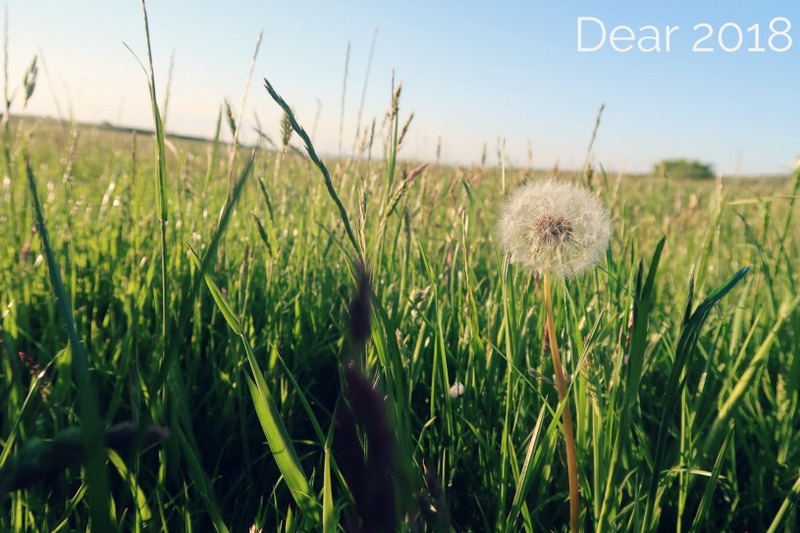 I needed to put myself close to the top of my priority list, which is what I had stopped doing. I didn't recognise myself. I was this needy person running around after a few people trying to keep them happy and it wasn't right. I suppose I had a wake up call and realised that yeah, I don't deserve this. And with those words in mind during yet another silly argument with my dad over email I told him that I didn't want to talk to him again. I couldn't take anymore of this and that it wasn't fair anymore. It was hard but it felt right. And I knew I had to be strong. I knew there would be times I may regret it. And I knew that he may be in touch around birthdays and Christmas (because you know, he had to be seen to be playing his role right?) but I had to be strong. For my sake and for my boys. Thankfully I was seeing a therapist at the time and she said something which made me feel better about the times I could have caved and contacted him. She told me that despite it not being a loss that involved death, it was still a loss, and I still needed to grieve. So I grieved. For a few months. In silence. I grieved for the man he was, for the man he could have been, for the man he should have been. I grieved for the dad he was, for the dad he could have been, for the dad he should have been. I grieved for the grandad he was, for the grandad he could have been, for the grandad he should have been. People say to think back on happy times but truthfully, they all seem pretty fake. I don't know when he was ever truly happy. Or what he was doing behind our backs. But the hardest thing, even now, is that I look in the mirror and I see him. I see his nose, sometimes his expressions. I see so many facial similarities that it's hard to forget he exists, or to forget what he looks like. Which sometimes I really want to do. To completely erase all that. I look in the mirror and I see his face, not my own. And it doesn't make me miss him. It makes me wish he looked different, or that I looked more like my mum. I always loved having "the family nose" but now I look and it doesn't seem as important. It's the nose that is the same as a family I have no real connection to anymore, other than blood. The only comfort being that the boys have my nose so we are almost starting a new "family nose heritage", only as a brand new family. When I see the image of him in the mirror I wonder if it's still part of the grieving process. I wonder if, over time, I won't see his face anymore, or the similarities. I wonder if I will instead just see me. Or if I will see parts of my boys. As I lose weight and my face shape changes I see more of my dad in me, which gives me even more encouragement to keep losing weight, so I can see past that and just see myself instead. Someone surrounded with love from her husband, her sons, her mother and her brother. Without the need for her father. Now Charles is getting older we are letting him be a little more independant in certain areas. Choosing his own clothing for one. 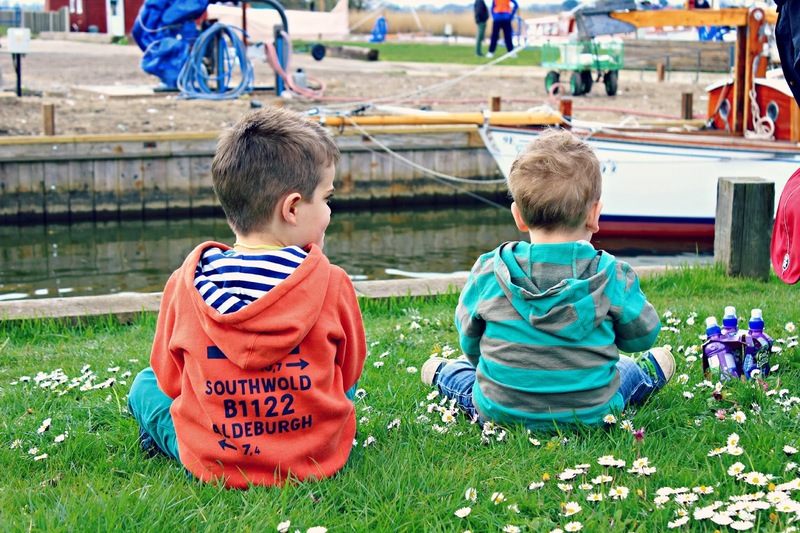 When we were approached to help celebrate Frugi's 10 year birthday and to celebrate their range of clothing now being available for children up to 10 years old. Charles was chosen to represent 4-5 year olds, a job he tok very seriously. We took our time in choosing our items, with such an amazing range of tshirts, long sleeve tops, shorts and trousers we were really spoilt for choice. I gave Charles full control of his outfit and he went for this "super awesome and really funny" tshirt featuring a T-Rex eating an ice-cream and the blue, green and red check shorts. 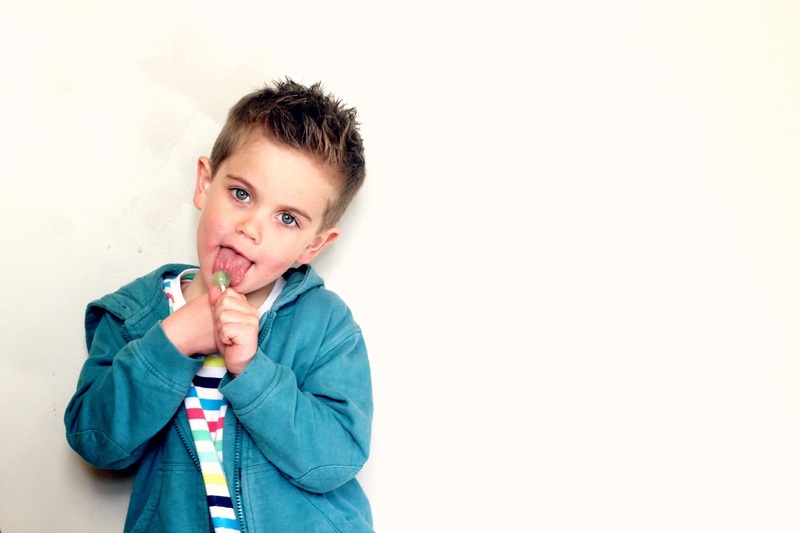 One thing I like particularly about the boys range at Frugi is that it's different to other items elsewhere. We struggle to find colourful, funky, cute and funny tshirts that aren't too childish/grown up/branded with tv or film characters, or with slogans we don't tend to like. I like the range of colours available, and that there is a different design on each tshirt. The fit of the clothes is perfect. Charles is quite tiny so we really struggle with shorts and trousers that fit his waist. Even with the pull in elastic inside to make the waist smaller on the shorts or trousers he can still look silly as the material bunches up. With these shorts we didn't have this issue at all. Although they were too big around the waist, as we suspected, we were able to adjust them to fit perfectly, and it didn't affect the way they hang either. The cost of the items is the only thing that would have held me back from purchasing, HOWEVER, the cost is completely justified and the quality of the clothes is a lot higher than other cheaper products we buy. These would be items I would buy over a series of weeks rather than one big bulky shopping spree. I also don't mind spending a little more on clothes for Charles as they will eventually be passed down to Harry. The shorts are really well made, and the details in the pockets and the stitching detail makes them even more special. So, don't let the price tag put you off. The tshirt costs £15 and the shorts cost £26. 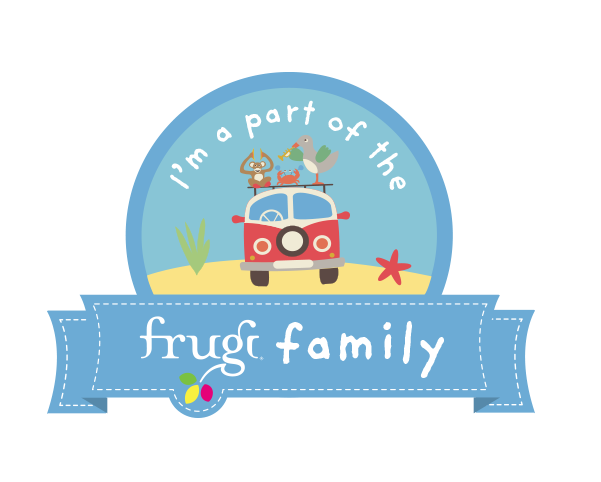 To find out more about Frugi please visit their About page. I absolutely loved reading this page and I think it's the best company about page I have ever read. I love the story behind the company and the illustrations used. 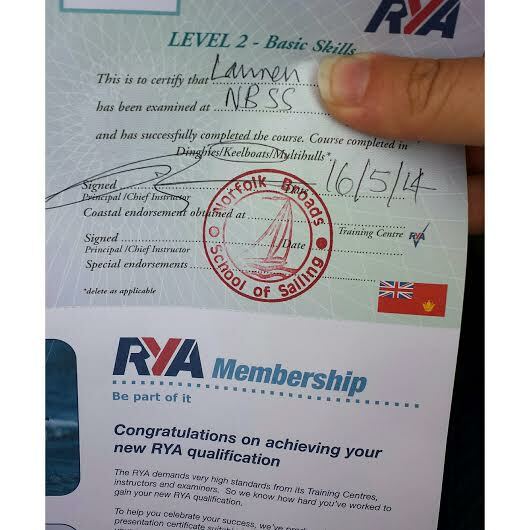 I'm going to write a post detailing our sailing week as it's too much to fit into a short paragraph but....I can now sail! I went into the week expecting to fail and be quite rubbish but instead I left the week with a Level 2 certficate. It was a hard, challenging yet fun and exciting week. 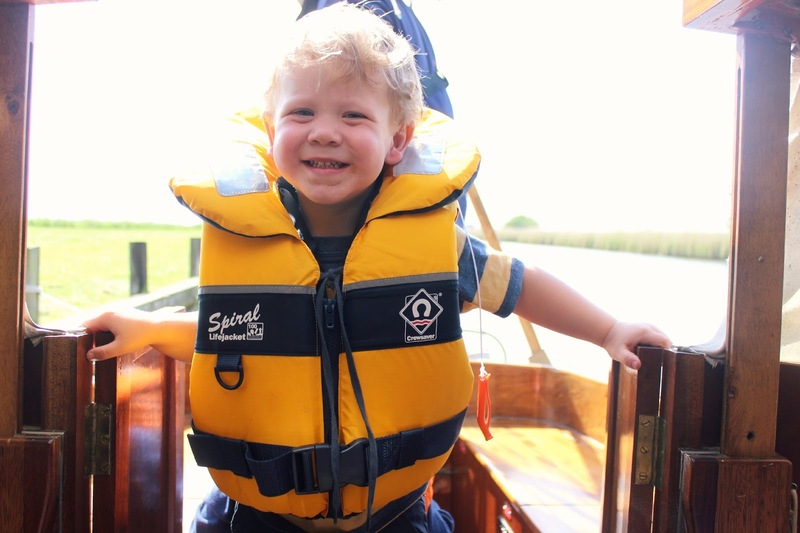 We were able to learn on our own boat which made it easier and we had a fantastic instructor who made us feel really comfortable and confident. We couldn't have chosen anyone better. I have never really got the whole takeaway coffee craze. When we lived in St Neots and came home we would make a special stop at Wild Bean Cafe for me to grab a Latte with Hazelnut syrup. But there's nothing really like that round here, and I can make coffee at home. 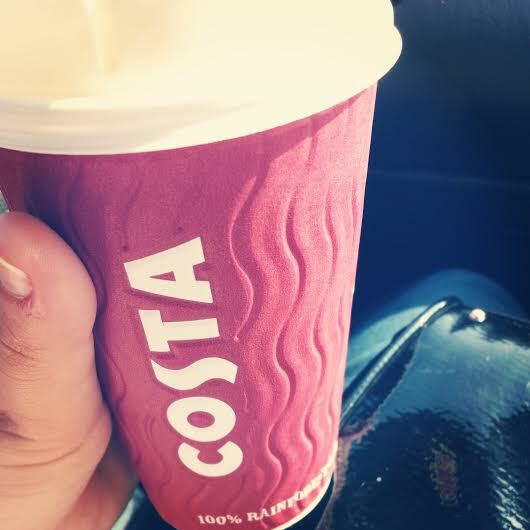 This week though we grabbed a Costa Latte from the petrol station on the way to the boat and it was delicious. It really started my day off on a happy note and made me a little more awake! I have always wanted to go on a ride on lawnmower. Always. I wish our garden was big enough for one...but it's not...so I couldn't help but be cheeky when I realised our sailing instructor has one. I didn't expect him to let me have a ride on it, and although I didn't have it in cutting mode and just went in one circle I really enjoyed it. It's silly how little things like that can really make you smile and feel happy. My mum was kind enough to take a week off work to look after Harry and collect Charles from school, give them dinner and keep them entertained until we got back from our sailing lesson. Harry has been quite challenging recently, just terrible two's mixed with testing the boundaries and just generally being hard work. I felt bad that my mum had a tough week with him, especially on the school run, so I invited myself round hers on Saturday night for a girls night. She made us one of my favourite meals I had growing up and we watched Bridesmaids. I'm not usually into these kind of Chick Flicks but it was really really good. I stayed over at my mums so it was nice to not be woken up by a boy poking me in the face or hearing them fighting over pants. One thing I tend to find interesting when meeting new people is finding out about their pets. I think it's a great conversation starter and I think you can learn a lot by someones pets. I love learning about different breeds of animals, the reason behind people chosing particular breeds and so on. As a cat person I've found that conversations with other cat people will tend to at some point include insurance and whether or not we have it. After having a horrible experience with a very poorly cat a couple of years ago it is now something that is essential for us. I think when you have a variety of pets it's hard to know where to go for insurance and whether or not to go for a specialised company for a certain breed or type of pet. Petplan have created a really fun and interesting video infographic giving all sorts of facts about pets in the UK, including popular breeds, popular names and popular animals in certain areas. I recieved a voucher in exchange for this post. 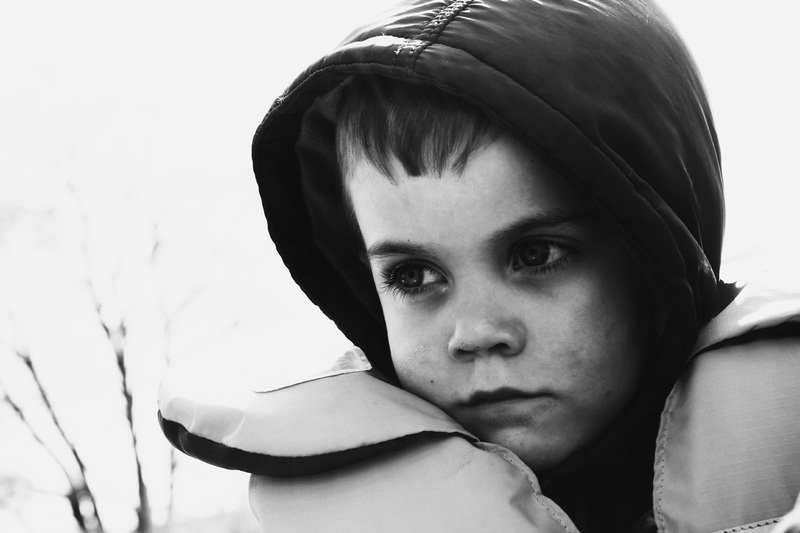 I didn't realise how much you can love a child. How they can take over your heart, your head, everything inside you. Finding out I was pregnant with Charles was the best feeling ever. I was also very nervous as we'd just been through a chemical pregnancy and as a result, certain family members didn't seem as happy for us as we'd hoped. Still, we remained positive and had our fingers well and truly crossed. I was having an awful time at work and being pregnant gave me the hope that everything would be ok in the end. It was my way out. He was the light at the end of what was becoming a very dark tunnel for me. When I'm having tough days with him and Harry due to poorliness or sleep deprivation or just a challenging behaviour day then I remember how I felt but then, when I went to work, and I realise that this might be tough, but it's no tougher than it was back then. My best time with him is late at night, if he wakes up around 10.30 onwards. He is hilarious when he is half asleep/half awake and the conversations just have me fascinated. We'll giggle and laugh and talk about serious things too. Most of the time sitting cuddling. This boy gives the most amazing bedtime cuddles. Sometimes it feels like he's older than me. The way he comforts me in such a grown up way. I feel a special connection with him. He seems to understand me so much, understand difficulties I have without me needing to tell him. Recently I had a big panic attack in front of him. We were on the boat so there was no where for me to go so he couldn't see me. Rather than getting scared, and wondering if I was ok, he just stood and rubbed my leg, telling me "It's ok mummy, just calm down mummy". He gave me the biggest cuddle at the end. At no point did he ask what was going on, or get scared, or worried. 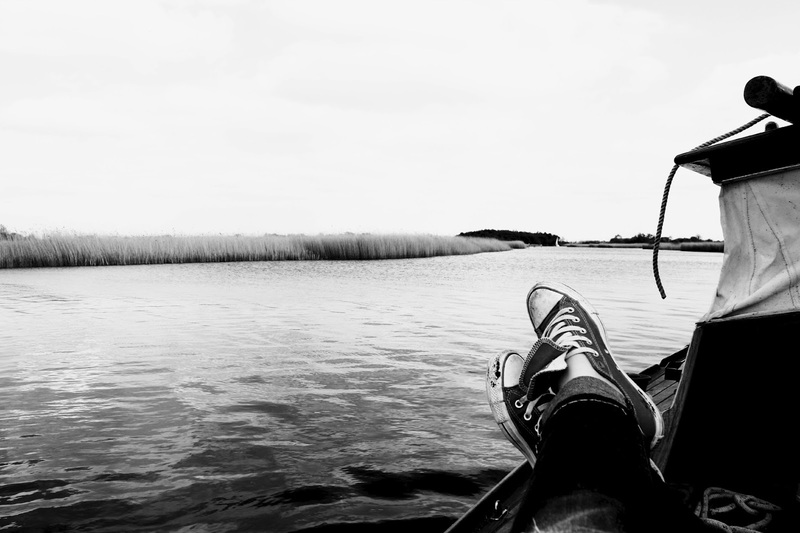 He remained calm and knew exactly what I needed to do, and what I needed him to do. And although I never wanted him to see me have an attack like that one, I was so amazed at how he handled it, and he really helped to get me through it. It amazes me how at almost five years old he still gives me butterflies. I still sit and stare at him sometimes just wondering how he is mine and how lucky I am. For a while now I haven't recognised myself at all. Looking in the mirror I didn't look like me. At times I would see a hint of me, I would really make an effort with how I dressed, doing my hair and doing my make up but sometimes it felt odd. Although I was trying to look like me, the body I was dressing wasn't mine. It all felt a bit fake, and I would regularly hope to wake up and see the real me again. In the body I wanted, not this big, wobbly, uncontrollable mess of a body. I'm a curvy girl, I accept that, I don't want to be super thin. I have a mummy tummy which I know will never go away, and I'm fine with that. We all have our flaws and if mine is a tummy with excess skin and clear stretchmarks then so be it. I know I can dress to cover over that area but also, the tummy isn't because I was overweight, it's because I grew two children. And for that I kind of want to celebrate my baggy tummy, and those bumpy marks covering it. My mind has also been unrecognisable. I have made no secret of that and it has been an awful struggle. A real struggle. At times worse than I could ever describe. I forgot who 'Lauren' was, or is. I forgot how to be me, I couldn't see the positives in myself. I realised recently that I forgot what it was to be genuinely happy. To feel that emotion. To smile because I can't stop myself from doing it. It came to the point when I thought this version of me was long gone. Lost and would just be a memory that was hazy. I felt confused and would blame myself, like I hadn't done a good job at looking after myself, like I had let the real me go and was left kind of empty, with a version of me that I didn't really enjoy. A person I didn't really want to be. I really beat myself up, a lot. And still do. I feel disappointed that in myself that I didn't cling on to me more. That I let myself become this empty shell and that I became unrecognisable. For a while I've searched for her. For the girl I actually quite liked, for the girl I always was. For the girl I recognised. I wanted her back. And this year I am determined to find her. It might sound odd, but I wanted to make some major changes, in the hope it would bring her back. Something I didn't realise was that a haircut would be the start of her reappearance. I've always had long hair really, any time I've had short hair I've ended up not really liking it and wanting to grow it out. A couple of weeks ago I went to the hairdressers and I decided to get my hair cut shorter. A lot shorter than what I was used to and didn't really think I would like it for long. I fell in love with it. And I had this hint of me. I felt happy looking at my reflection. I was still unhappy with my weight, but there was something about my appearance that I liked. And rather than saying "I like my hair but hate my body" I decided to ignore the negative thoughts and just concentrated on the fact that I liked something about myself. A week before getting my haircut I'd gone shopping with my mum and bought some new clothes. They were different to what I would usually wear but I got them anyway. The haircut seemed to boost my confidence when wearing these new clothes, and they all of a sudden felt different. And I liked myself wearing them. And then came the weight loss. And my goodness, although I am still big and wobbly there has been a big improvement. Dresses are different on me, my jeans are too big, I HAVE A WAIST! I feel lighter, I feel a bit more comfortable in my skin and I am determined to lose more to feel even better. If I can feel this good after losing just a stone and a half then how good will I feel when I've lost 3 or 4 stone? I've finally realised and woken up to the fact that if I want that girl back I will need to work at it. It's not just going to happen. It will be hard work, will require dedication, but it is possible. And I can do it. This week I have seen a hint of the girl I used to be. 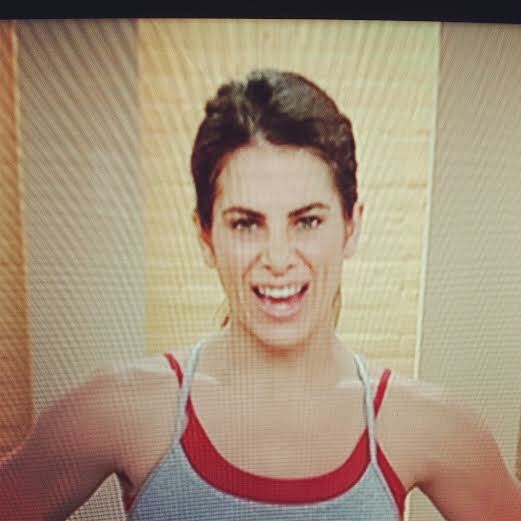 I am crazy excited for Britmums Live now, to the point that I cannot stop thinking about it. I've been keeping an eye out for the agenda for a while now so was super excited when I was alerted to it being posted on their site. I have a rough plan of the sessions I want to go to. I think it will be a busy couple of days for me. I know, I'm annoying right but let me enjoy losing weight before I get bored of it. My husband bought me this dress last year, I adore it. 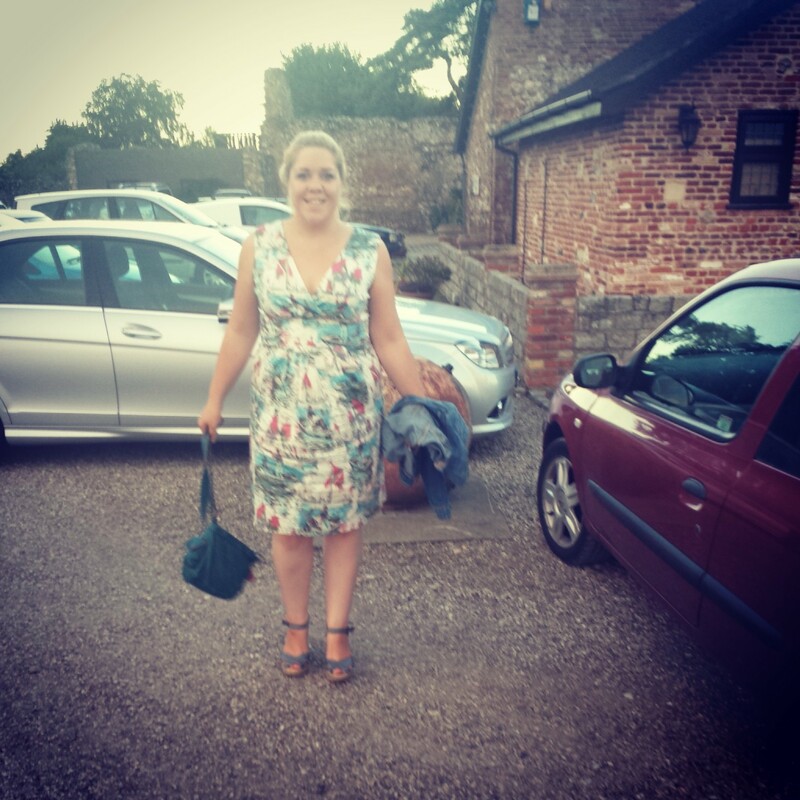 I wanted it for ages, which he didn't know, and during a date day he offered to take me to Joules and buy me a dress. When I tried it on I fell in love with it, but it was a teeny tiny bit snug around the waist and bum. Not enough for me to not be able to buy it, but enough for me to be restricted on when and where I could wear it. These two photos below were taken last year, and although I think the dress looks nice I know that I felt really self-conscious in it. At the point where I was thinking that if I sat down in it too quickly it may rip. Still, I wore it on a date night and then it went back into the wardrobe. 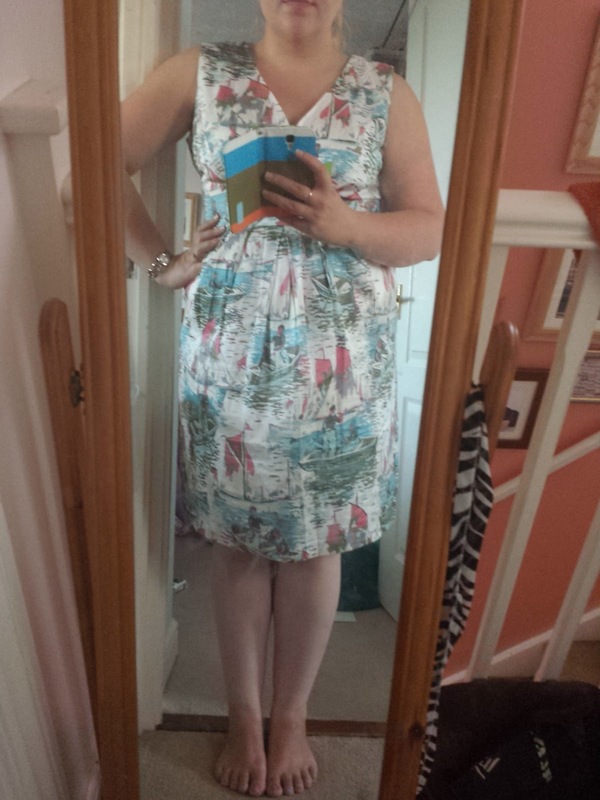 I tried it on again last month and it was a bit snug still, which was frustrating but also gave me a kick to want to lose weight as I didn't want to waste such a beautiful dress. I tried it on again Saturday this week and IT FITS WITH ROOM TO SPARE!! 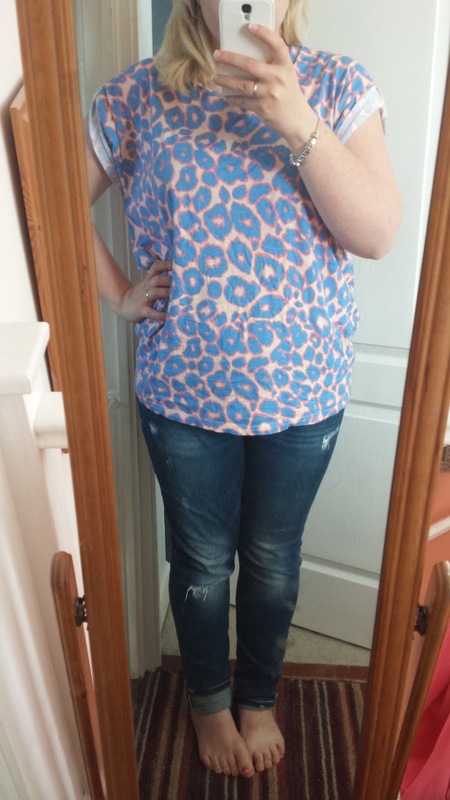 I felt super confident in it and found it really comfortable. If you are going to Britmums Live it is very likely that you will see me wearing this on the Saturday. Weird huh? Pyjamas and brushes making me happy. I am a nightmare when it comes to make up brushes, I have a safe place for them and then being super lazy I tend to lay them down anywhere and then they vanish. I have lost all of my decent favourite ones and had to buy some new ones. 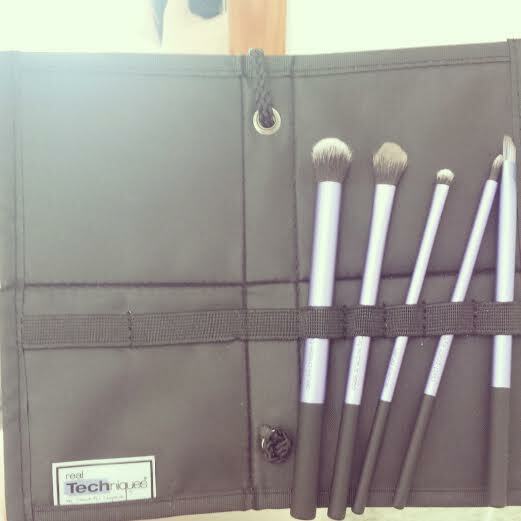 I've wanted some Real Techniques brushes for a long time now so popped onto Amazon and saw this set for £12. It's fab as it comes in this case which with a pull of a toggle also becomes a stand. 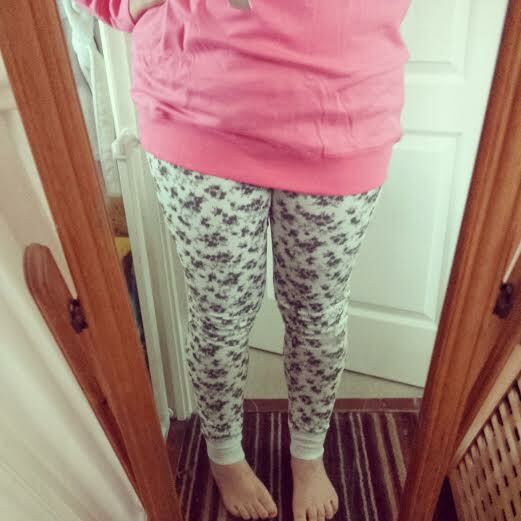 These pyjamas are from H&M, I originally ordered them hoping they would be here in time for the sleepover I went to a couple of weeks ago but instead they arrived this week. Being a curvy girl I didn't expect the leggings to be all that flattering and actually thought I would end up sending these back. However, I love them! There is a big pink jumper as part of the set which is great for chilly nights, and will be especially good for chilly evenings on the boat. Oddly flattering and really really comfy, and I will now be saving them to take to Britmums. Two other purchases this week. Who knew ASOS did stationary? Not me! I wanted to get ahead with things I need for Britmums and a notebook was essential. I fell in love with this one, for the design and also because it is plain paper which I prefer when quickly writing down notes. 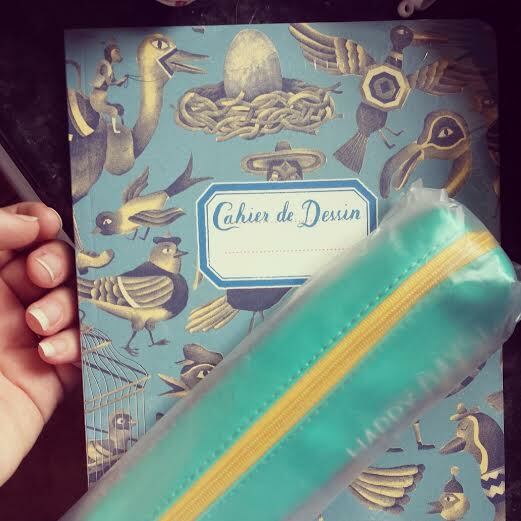 I also noticed this super cute little pencil case and couldn't resist buying it. I think it will be great for Britmums and keeping all my stuff organised in my bag. The only problem is that the notebook is slightly too big for the bag I was planning on taking. First World Problems and all that. Gosh I never thought I would enjoy exercising, at all. But this week I have started the 30 day shred although I am being naughty and not sticking to doing it everyday. I want to make an effort with exercise in my life in general so this week I walked to collect Charles from school. It should have taken 30 minutes but I managed it in 20, which was quite a proud moment, although I'm sure my face was purple as I was so hot. Charles was really excited to scoot all the way home. We also managed to be home by 4 which was impressive! On the days that I walk to school I won't do the 30 Day Shred as I don't want to put myself through too much, and I want exercising to become part of my everyday routine and not a chore. I think if I Shred everyday it will become a chore and I won't enjoy it. 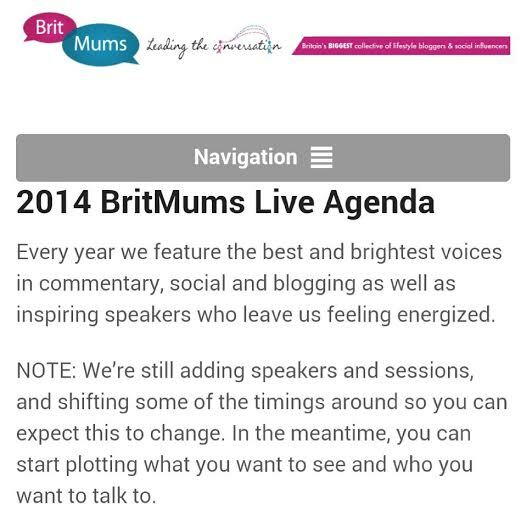 I was super excited to see the schedule for Britmums Live go up this week. I already have a rough idea of the sessions I want to go to. Last year I did the same and ended up skipping some of them (walking out of two) and feeling annoyed with myself. I won't put too much pressure on myself this year and as long as I go to the sessions I really think will benefit me then I'll be happy. I think it's equally as important to catch up with friends and make new friends too. 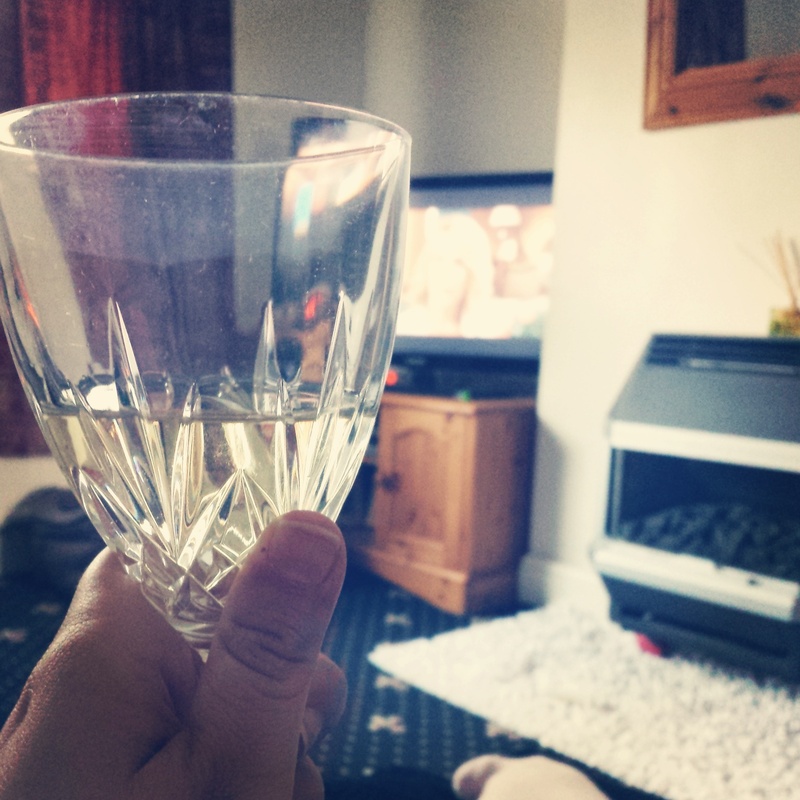 I've really missed watching and following a series so I've recorded Prey and caught up with Happy Valley. I liked the first episode of Happy Valley but the second one didn't keep me locked for long enough. I will still stick it out though. I still need to get round to watching Prey. I absolutely love this song and for a long time was convinced it was Peter Andre on the vocals. It's not, but still....it sounds like him right? Yet more weight loss progress and I am now at a loss of a stone and a half. I am delighted. 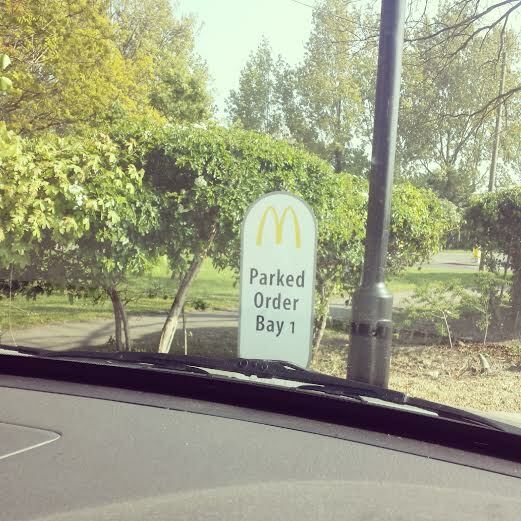 I did make a major fail on Monday by having a McDonalds breakfast, although it made me sluggish the rest of the day so although I enjoyed it I won't have another soon. When I went on a shopping trip with my mum I treated myself to this oversized tshirt from Primark. My mum isn't a fan of it but I really love it. It's comfortable to wear, a lot more flattering than it looks on the photo below, and is super practical to wear with jeans on a sunny day. Oh the excitement of booking the boys birthday party! 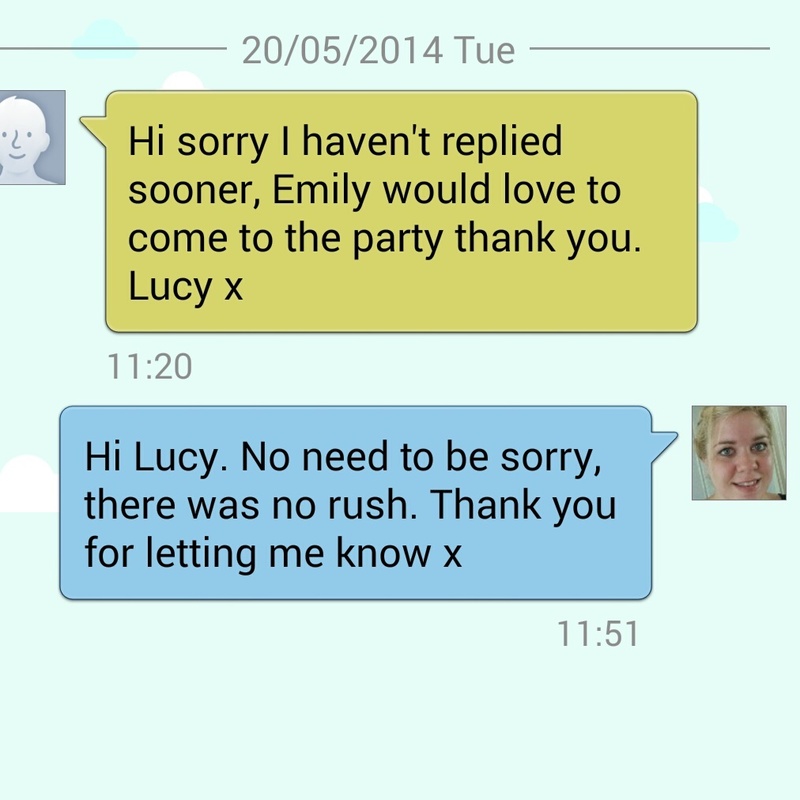 I was very much in the "they will not have a party, especially not a hall" frame of mind but on May 1st I went PSYCHO and after a chat with my friend ended up booking a local hall. 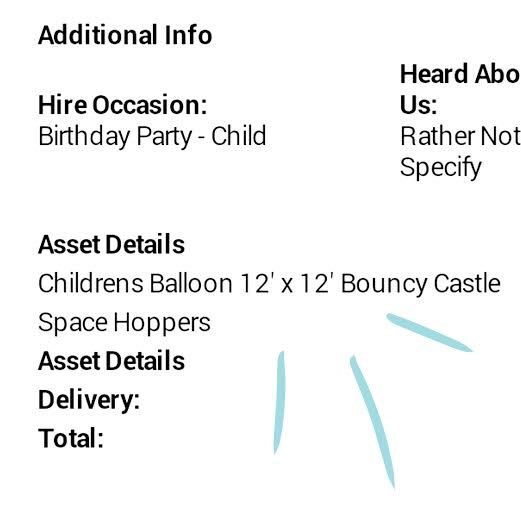 I was planning on getting a bouncy castle at home and then the realisation that these plans are totally unsuitable thanks to the Great British weather my friend phoned up the hall for me and booked it for June 22nd. For an extra £30ish it's worth it and the boys can now invite more friends. As we are having a Monsters Inc/Monsters University themed party I think the Space Hoppers will make great ride on monsters. I might even set up a course the children have to try and go around. 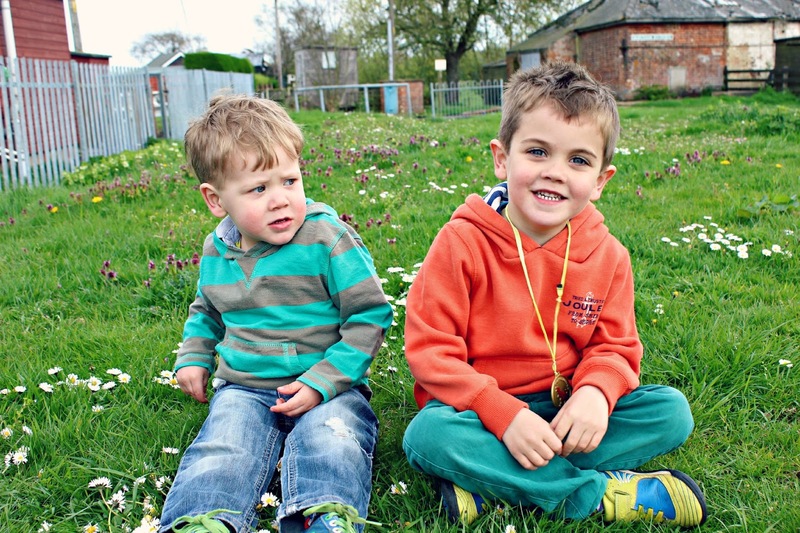 This month was almost a Siblings fail. An hour after this photo was taken Charles started feeling really poorly. 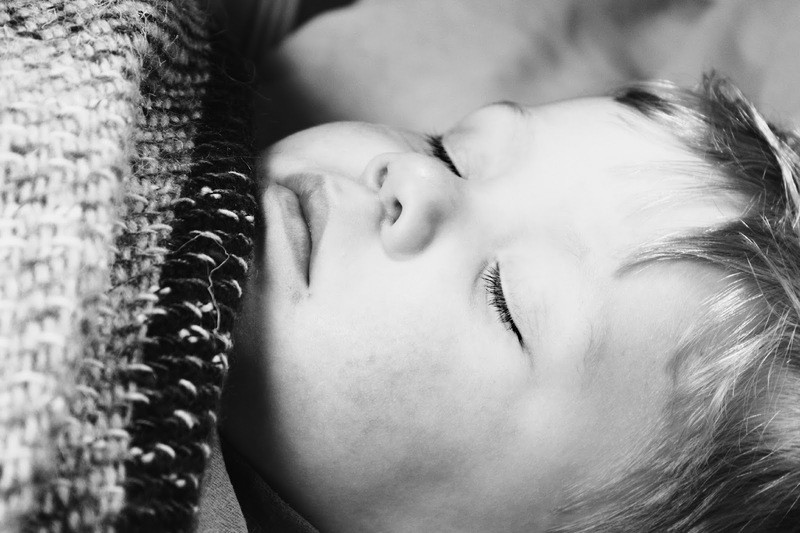 He fell asleep on the boat, then we transferred him into the back of my husbands car as we didn't have the cushions in the boat yet, once we got home he fell asleep on the sofa, and then the floor in his bedroom. 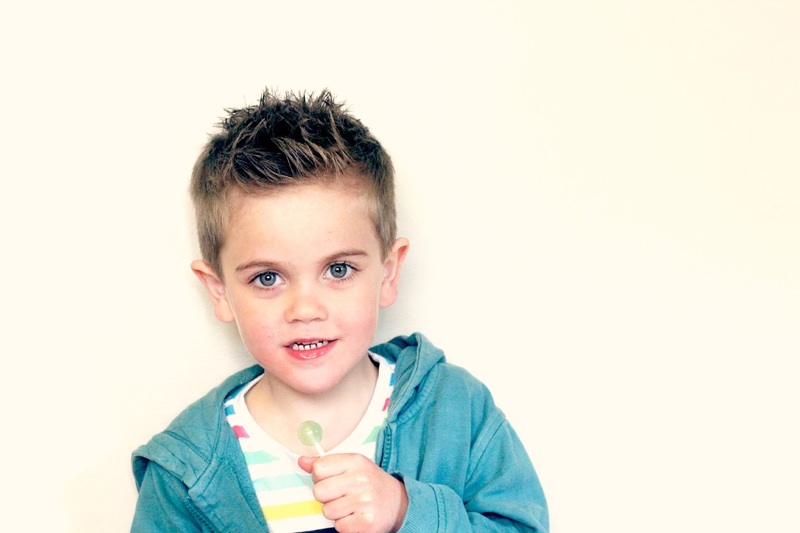 Two days later Chicken Pox appeared and thankfully he didn't suffer too much. Once his had cleared some more appeared....although this time on Harry, and he suffered a lot worse. Spots covered his face, neck, scalp and body. I have felt totally helpless as I've rubbed his body with a cooling foam that made him freak out so much that it was like he was possessed. We are now coming to the end of it although he is still suffering. I am so grateful for these photos which I took actually on the day the last Siblings post went live, if not this month would have been a disaster. I'm seeing some really big changes in both boys this past month. Some good, some not so good. I think it's really clear, to me, that I have a different relationship with both of them. Of course I am a mum to both and it's not that I have a favourite but I think it's down to their personalities that make us different. I parent them both them same, and both with always be my baby and although it's odd seeing them differently, I think it's also nice that it's not the same. Whether or not this will change when they are older I don't know, as Harry is still only little after all, but I'm pretty sure me and Charles will always have the closeness we do as he seems to understand me more than Harry does. Almost like we have a inner connection or something, I know he knows about my anxiety and insecurities and depression even though I have always tried to hide them from him and haven't told him about them. But then that is a whole other blog post entirely. This month I am sending you onto Hayley at Shutterflies, my favourite humans ever who has two of my favourite small humans ever too. I can promise you will enjoy the treat she has in store on her blog.